it's Christmas DAY! yeah.. i know i know.. till now i only post about Christmas. 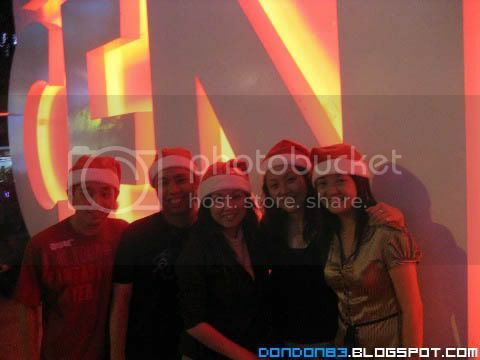 ok. i gonna conclude Christmas post with this 1. hehehehe. month before christmas. 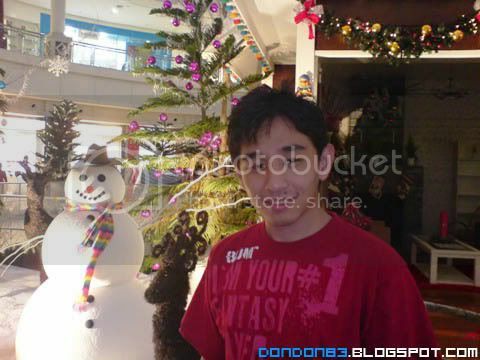 i went to find some nice nice christmas tree and christmas decoration in KL and Singapore. here we go. 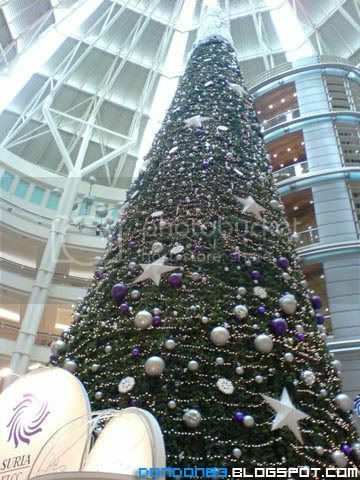 SURIA KLCC christmas tree.. erm... every year pretty much the same.. always the TALLEST christmas tree..
this is my favourite three. 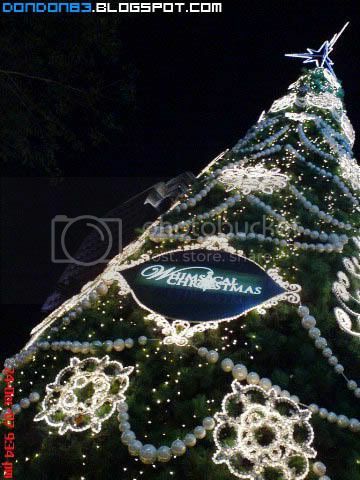 STAR HILL Christmas Tree.. i think this 1 is really cool! love it. 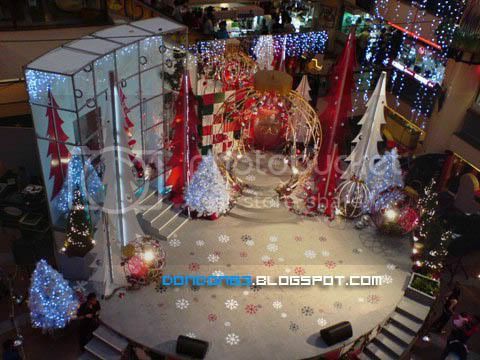 SUNGEI WANG christmas Decoration.. can't find nice christmas tree in sungei wang... hmph... at least the have a Stage. 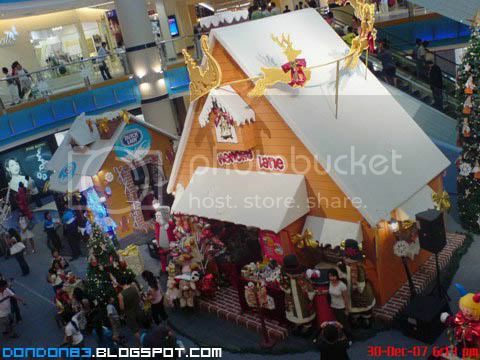 i'm lucky to see this decoration after christmas.. glad.. is located at SUNWAY PYRAMID - New Wing. 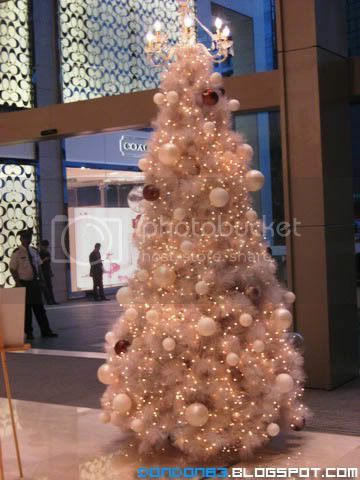 ok... that's all i got for malaysia Christmass tree and decoration. let's move on to SINGAPORE!! 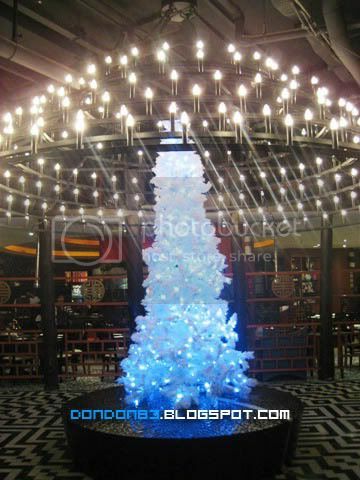 Braud Buffel Christmas tree the Branded Christmass Tree appear in previous post. 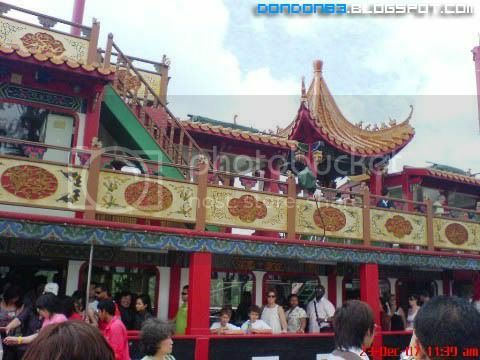 hehehe.infront of PAGODA. 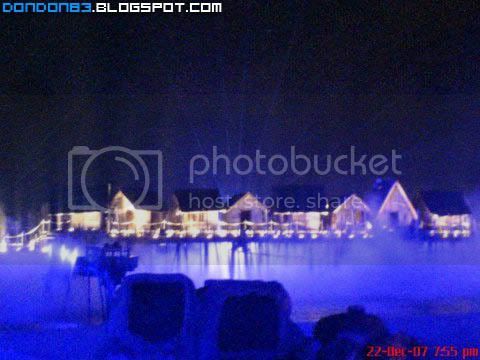 SENTOSA Under WaterWorld christmas Tree, Nice Concept. CARL'S BERG christmas tree. 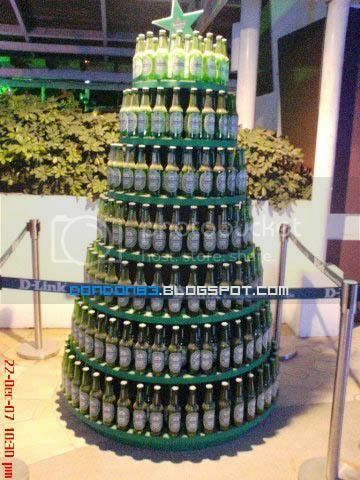 hmph.. i think who who ever like beer will happy to see this tree at their home. 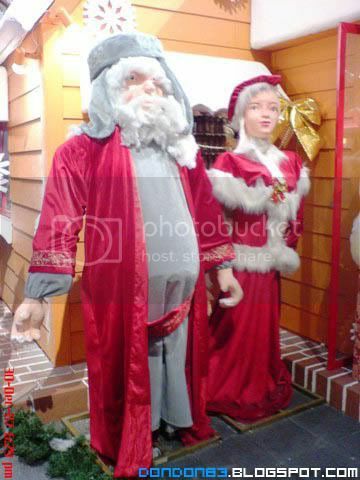 hohohoho. Drunken Christmas. 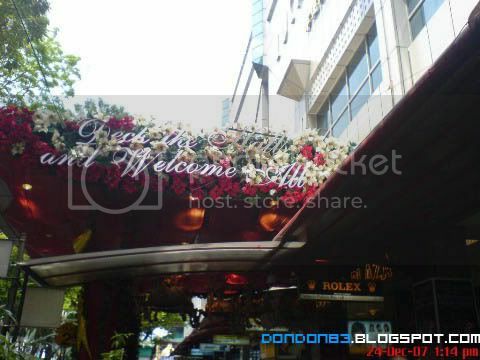 located at JEWEL BOX. 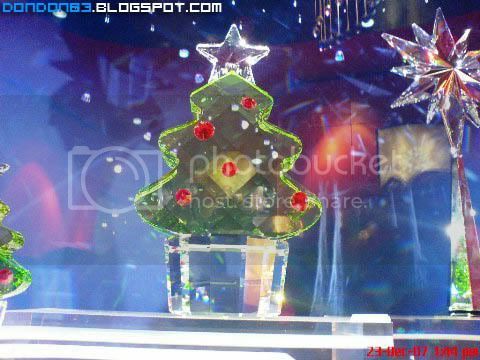 i saw a cute Crystall Christmas tree inside SWAKROSKI shop. hahaha. 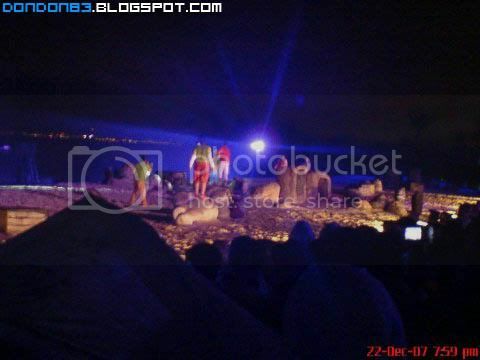 luckily no ppl said cannot snap photo. hohoho.blink blink! 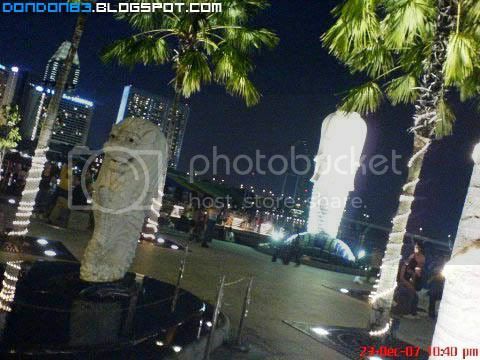 We go all the way to Orchard Road, and wait till night fall.. And plan to wait for count down... who know... tonight there is NO COUNT DOWN EVENT!!! wtf? no count down? then mar very sienz. don't care. photo shooting session begins. 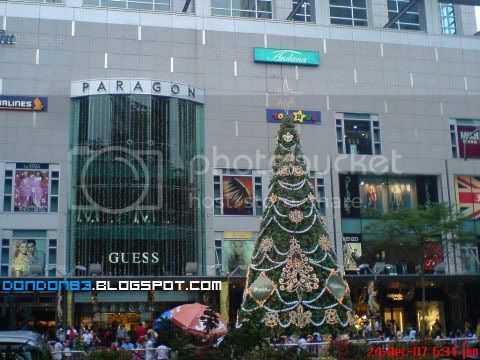 a huge PARAGON christmas tree stand infront of Paragon Shopping mall.it's begin to light up , day is getting darker. 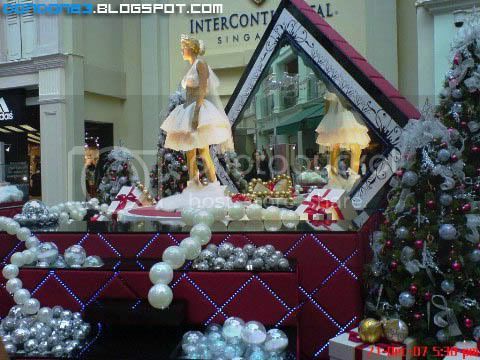 a nice christmas decoration i found somewhere in orchard road. while some of our gang busy shopping. hahaa. 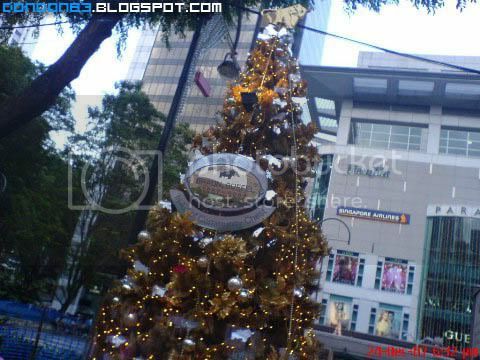 Braun Buffel christmas tree.. even the tre decorated with it's bull logo. cool. 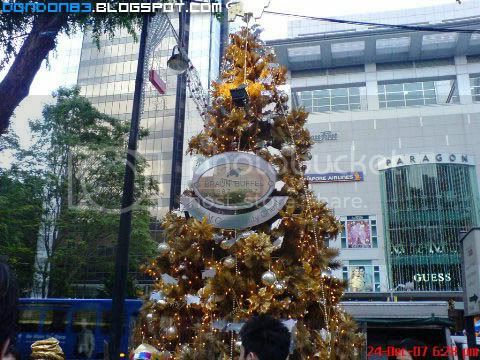 it's branded christmas tree.. lol. a Building very buitifull during night fall. 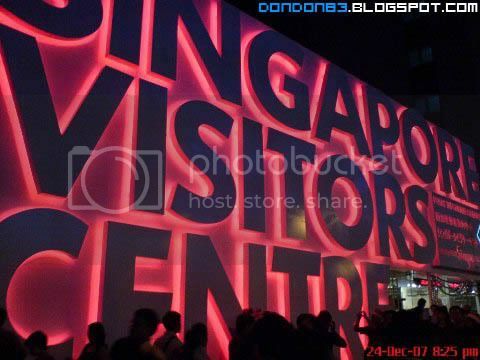 Singapore Visitor Centre. 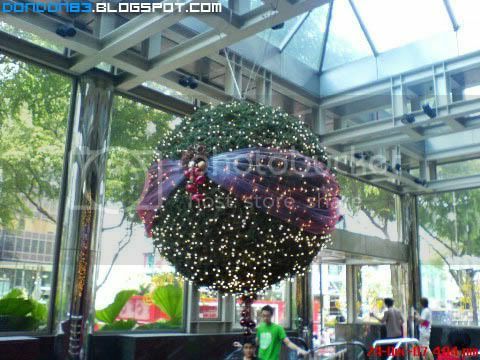 gosh.. we go in here during our last day.. then we received a map and discount vourcher ... gosh.. big big misstake.. should come here 1st... sob sob..
gggg.. no count down for Christmas night. 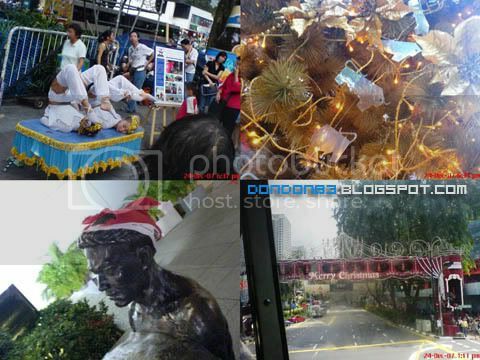 Even a Labour Statue want to celebrate Christmas.. haihz.. poor labour guy, i count down with you. hehehehe. today is my last day in singapore liao. the christmas event only available on CHRISTMAS NIGHT. 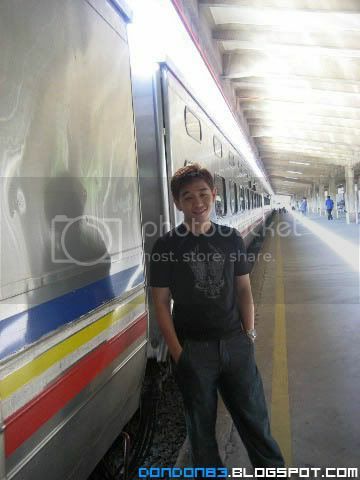 gosh.. tmr morning we will on our way back to Kuala lumpur jor.. sienz.. 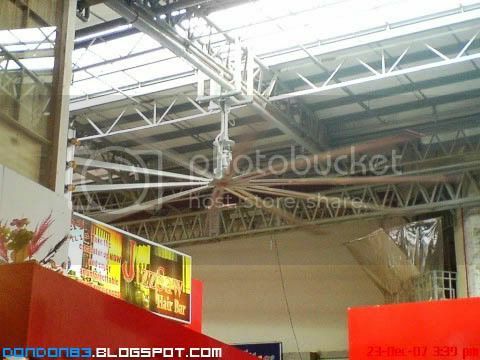 Jewel box? nothing special up here beside Nice and high class restaurant. 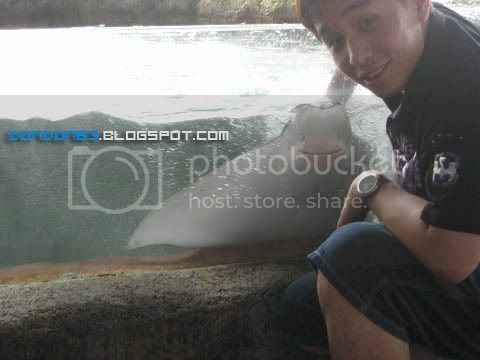 hehehe, but still have 1 attraction. 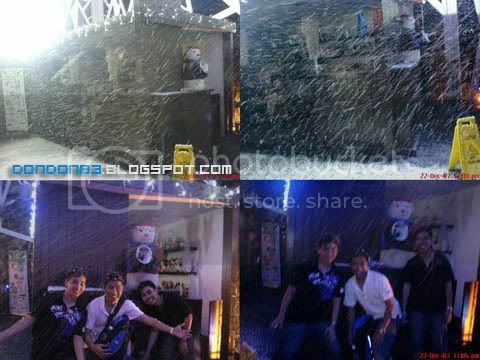 Snow falling in singapore? are you kidding me? 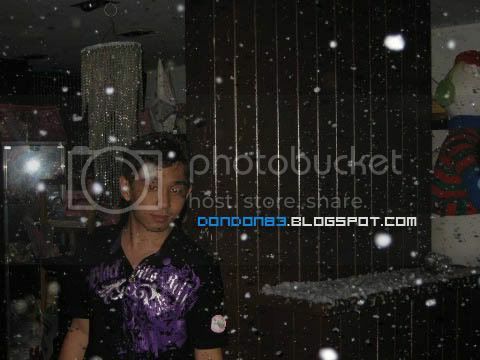 beside snow. i also found something UNIQUE!! SPICY!!SPECIAL!! do you every think of WASABI ICECREAM?? 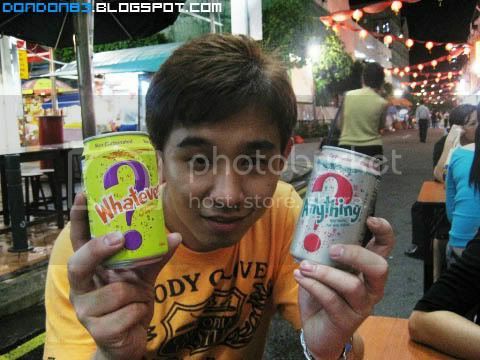 hehehe, how it taste like ar? go buy 1 and try. or you can put wasabi in fridge for an hour, then try it while it still cold. LOL, Uzumaki Wasabi IceCream. eat till I SCREAM! 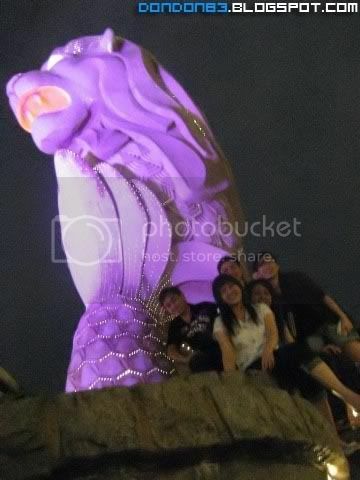 the GIANT Merlion in Sentosa Island. 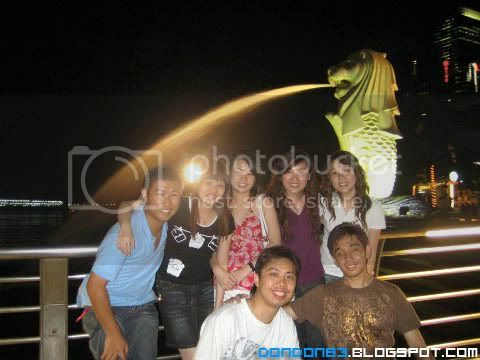 i think is the biggest Merlion in singapore. 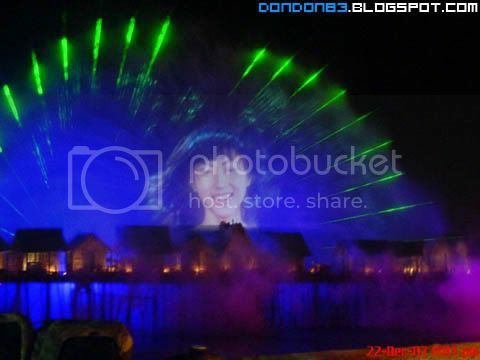 Here come day 2?Today is Sentosa Island Exploration Day. place we been? 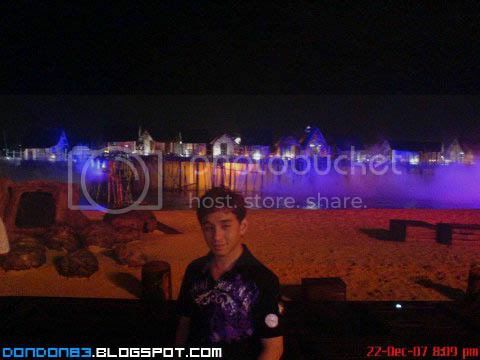 let go to Sentosa Waterworld. 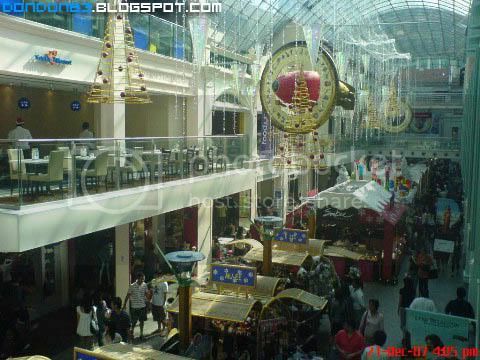 well... what i notice.. is pretty much similar with KLCC Aquaria. 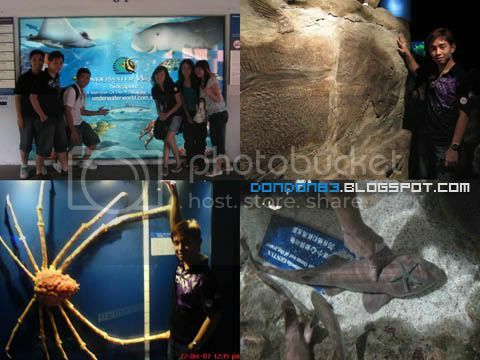 well.. Sentosa Waterworld have more things /fish to see. First thing, the Touch Pool! 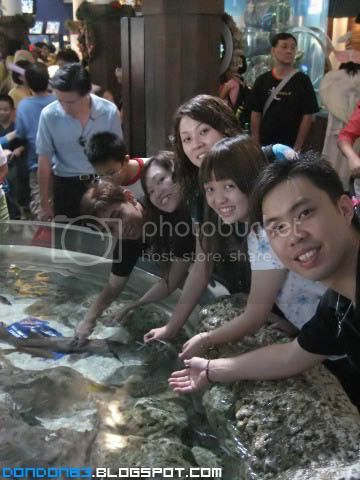 try to touch the fish , starfish, stingray,shark(if you dare). i pretty much enjoy this touching. 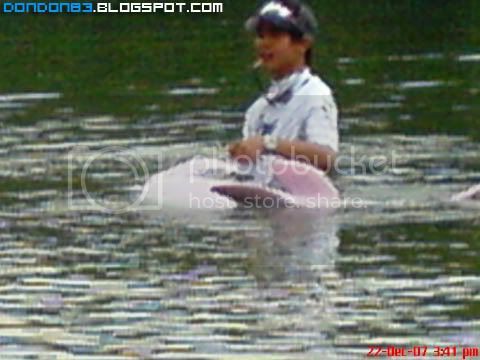 let hamsap the fish. wakakka. 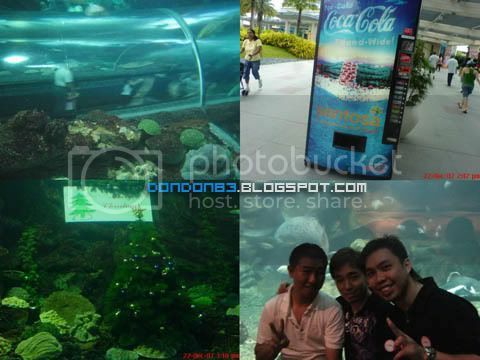 Underwater tunnel. 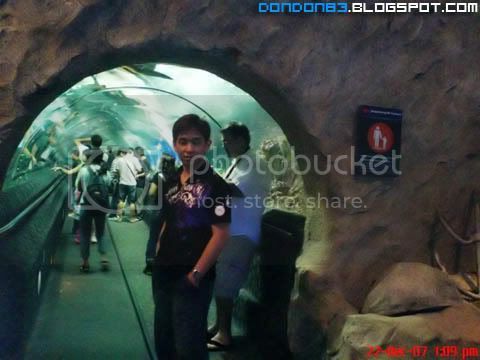 cool, my 2nd time going through underwater tunnel, my first underwater tunnel visit is at KLCC Aquaria. 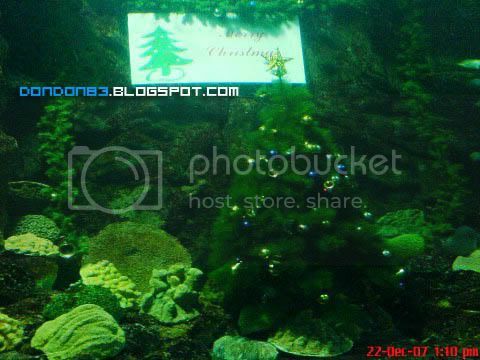 erm.. that time KLCC aquaria have more fishy.now i not sure..
Underawter Christmas tree. i wish to see underwater santa more than a tree . 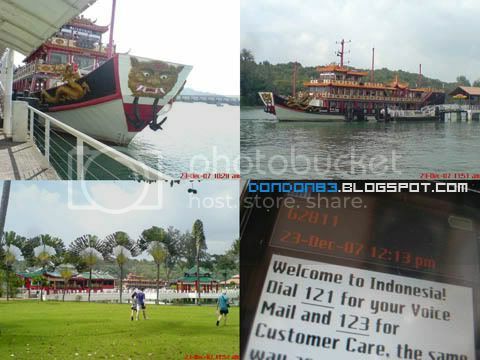 hahaha, and hor, even their coke vendor machine also got sentosa on it. geng. 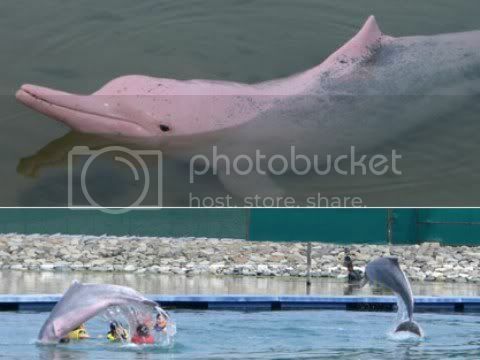 after Under Water world, we rush for next activities, is Dolphin, cheh~ dolphin jemah~ hohoho, but this 1 is in PINK wor. aiks.... how come ar? can't see the pink colour? 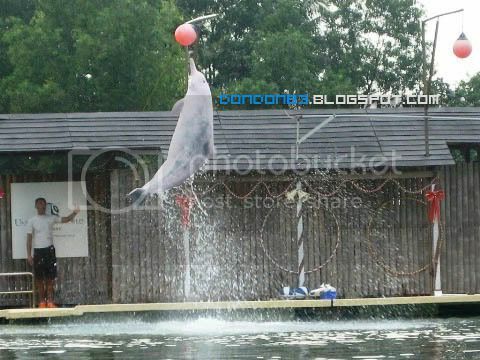 i gave up, here is a photo i grab from the net out there. 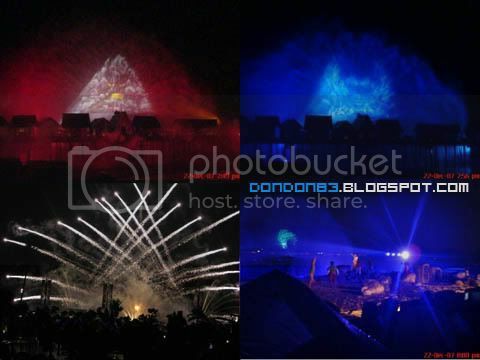 can see it clearly .this is how it look like. cool rite? 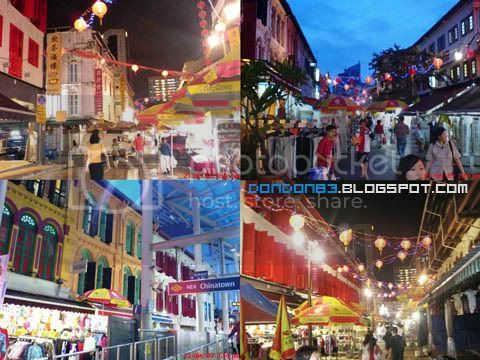 How you go to singapore ar? 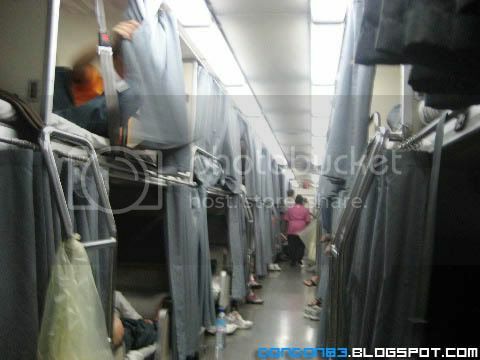 by train lo, wah lao, siao ar? how long? TEN hours jemah. wah lau? what you going to do in the TEN hours? SLEEP lor~. 9 more hours to go, this night.. i dunno bang jor how many time window,luckily another side got SEAT BELT, else i sleep middle way jor. 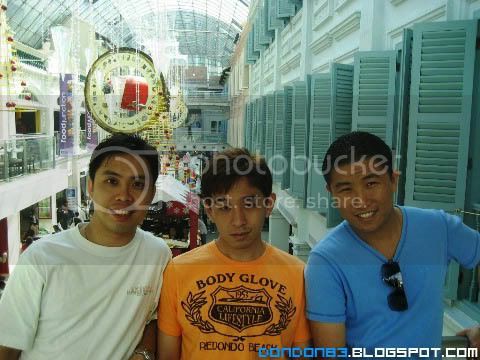 Bugis Junction! 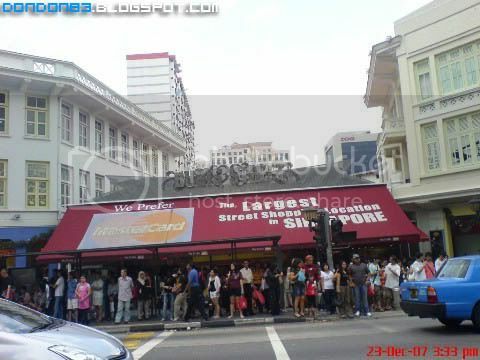 our singapore very first station. let's start with shopping! 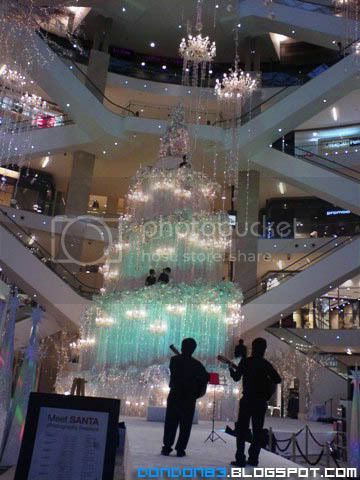 Fairy tales alike christmas decoration. is that a big big barbie doll? 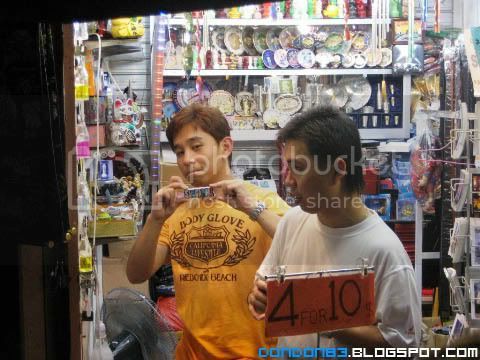 CHINA TOWN! 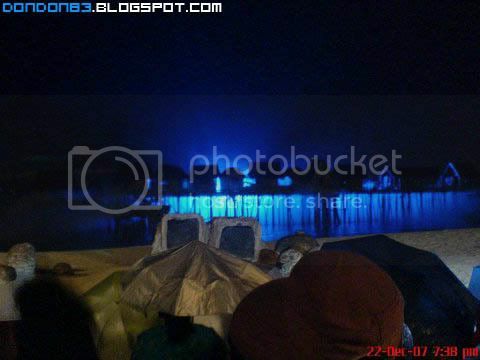 !, our first day 2nd station! 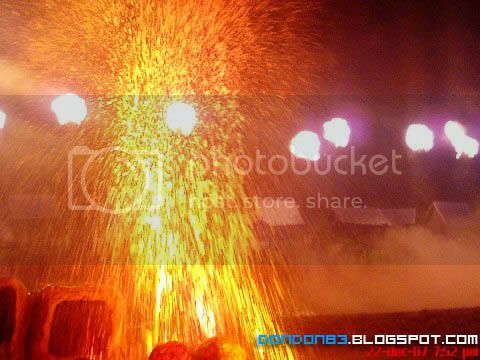 similar to CHEE CHEONG GAI! bargain here bargain there. end up kena potong as well. why ? "AIKS!!! i forgot not is not RM"
Don :"what you want to drink?" Don: "nah~! you asked for it!"